Addiction is a disease that affects everyone regardless of race, gender, age or social class. When individuals enter drug and alcohol rehab, they begin a journey toward long-term sobriety. Depending on the individual’s circumstances, he or she may want to attend an inpatient or outpatient rehab. Inpatient rehab offers higher success rates and more intensive treatment, but outpatient rehab offers more flexibility for people who have work or family responsibilities that can’t be put aside. The start of the recovery process is becoming aware that there’s a problem. Over time, addicted individuals may not realize the impact that their habit has on their work, family and health. Sometimes, it takes a family member or friend to point out that there’s a problem. Once addicted individuals recognize that they have a problem, they’re ready to seek out help at a drug and alcohol rehab center. In the second step, addicted individuals begin to look for treatment centers and programs that can help them become sober. At this stage in the process, it’s important to involve family members and friends. With support from loved ones, patients are better able to achieve sobriety. 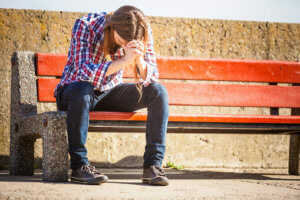 In addition, addicted individuals may use this stage of the process to learn more about their addiction and the impact that it has on their life. Once individuals are no longer in denial, they can find a treatment center that works for them. The early recovery process begins once patients are ready to get clean. Often, patients will choose a long-term care facility to get in-depth treatment. Longer rehab programs have higher success rates than outpatient facilities. Patients can enroll in long-term care options ranging from 6 to 12 months. At the treatment center, patients are in a caring environment where they can begin their recovery. Talk therapy and family therapy are used to uncover the root causes of addiction. At some treatment centers, patients can also receive dual diagnosis treatment. Conditions like depression, PTSD, anxiety and bipolar disorder can contribute to an addiction because some people use drugs to self-medicate. By getting dual diagnosis treatment, patients can target the root cause of their addiction and get help. As patients begin rehab, there are several treatment options available. Holistic therapies like acupuncture and massage therapy help to soothe anxiety and agitation. Meanwhile, art and music therapy give patients an outlet for their thoughts, feelings and stress. Once patients have made significant progress toward their recovery, they can begin relearning life skills like grocery shopping and time management. Learning life skills helps patients to reintegrate into normal life and unlearn habits related to their addiction. Recovery is a journey that unfolds over a lifetime. If you or a loved one has an addiction, professional drug rehab is the answer. Call 1st Step Behavioral Health at 866.319.6126 to begin your journey toward sobriety.